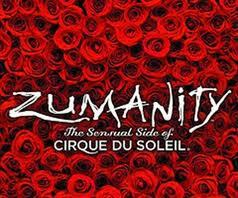 Yesterday was Zumanity’s 7th anniversary! Hooray for Zumanity!!! I also got the honor of running my track almost solo. I don’t have my Emergency Response classes so I can’t be alone when the High Risk (read: aerial artists) are onstage because if something happens, I would not know exactly what to do. It was still pretty awesome and I felt very good about it! However… work is still going well. I still love it. I still think I have the best job in the world and couldn’t be happier. Today is also the last work day before my weekend. We are dark Wednesday and Thursday. Can I just take a moment to rave about how awesome it is to have two days off in a row??? I didn’t know how much I missed it until it came into my life. I honestly can’t remember the last time I had a two day weekend (on a REGULAR BASIS) in my line of work. It was probably a fall season at Utah Shakes. But even then, I am not sure it was on a regular basis. It’s so nice to have both a day to relax and do nothing AND a day to get all my personal stuff done. Anyway, no need for this to turn into a rant. This is a happy space where I revel in my luck (skill??) at getting an awesome job with a fantastic company who cares deeply about their employees. Even when I wake up in a black mood, I can still work myself out of it by talking about my work. I’m pretty lucky because I am willing to bet there is only a small percentage of the population who can do that! Happy Birthday Zumanity! May you have a long and exciting life!!!!! !